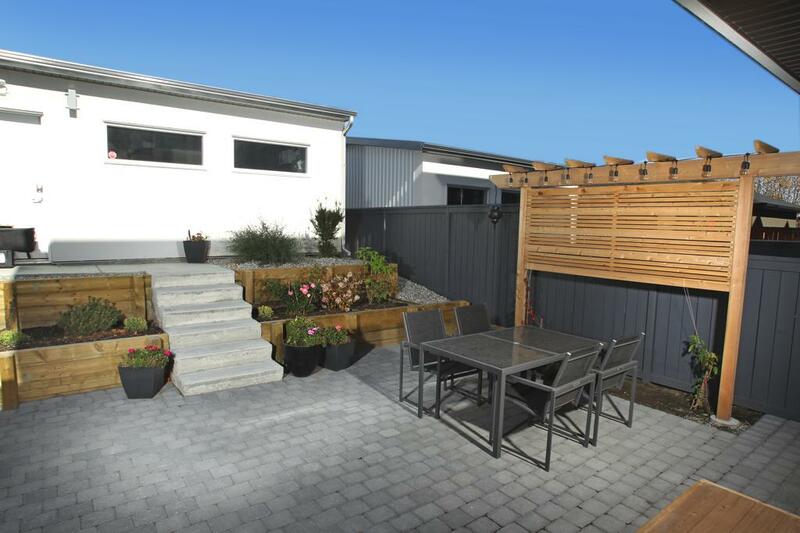 Transform a difficult to mow hill into a terraced, functional, safe and productive showpiece. 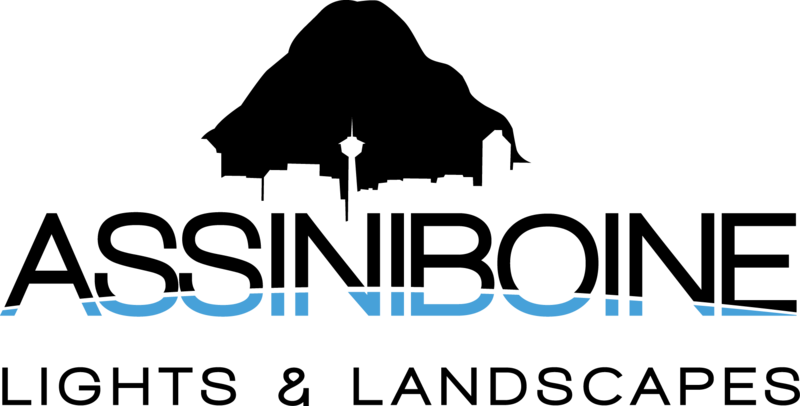 Want to check out our work? Click here to head right to the Gallery. 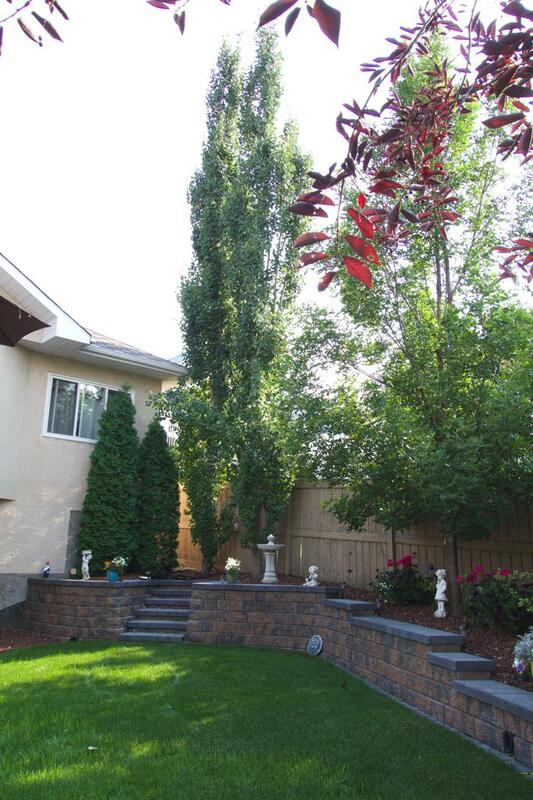 Retaining walls add character to a landscape and value to your property. 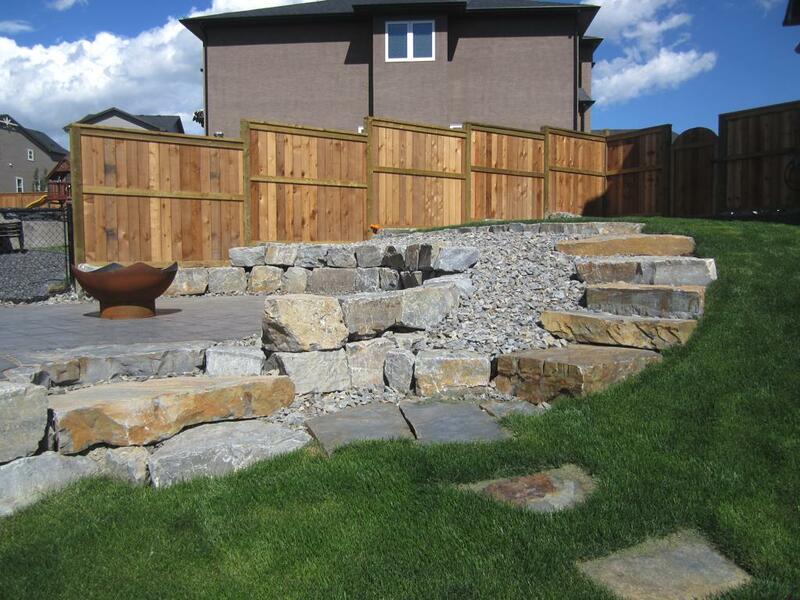 Assiniboine Lights & Landscapes takes into consideration many factors when it comes to building retaining walls in Calgary. These factors include height, retaining function, needed structural integrity, the space available, and the character of the property. In a yard with a strong slop, terracing increases water retention which allows vegetation to absorb more and grow healthier, while preventing soil erosion. 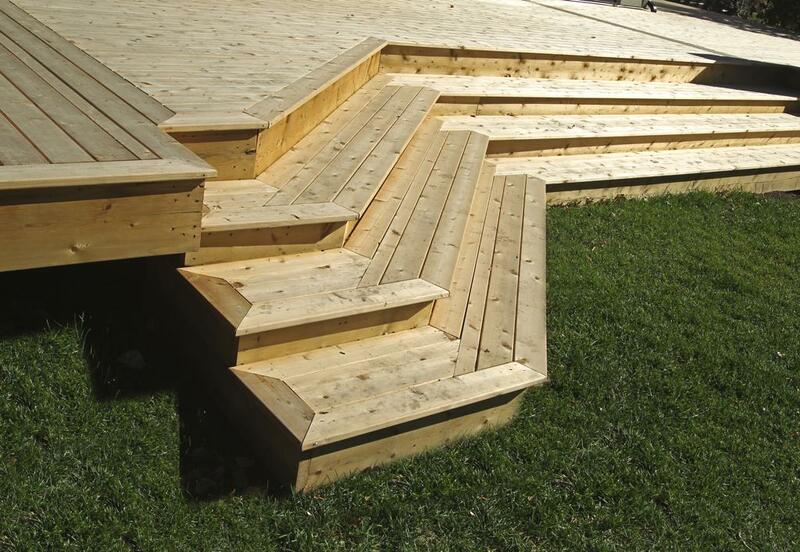 Steps draw the eye and inevitably become the centerpiece of any landscape. 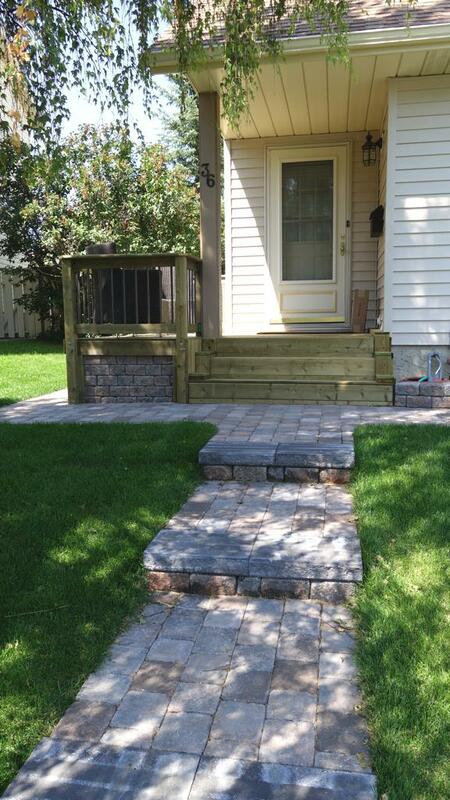 Assiniboine can build steps in a variety of styles and products to suit any budget. 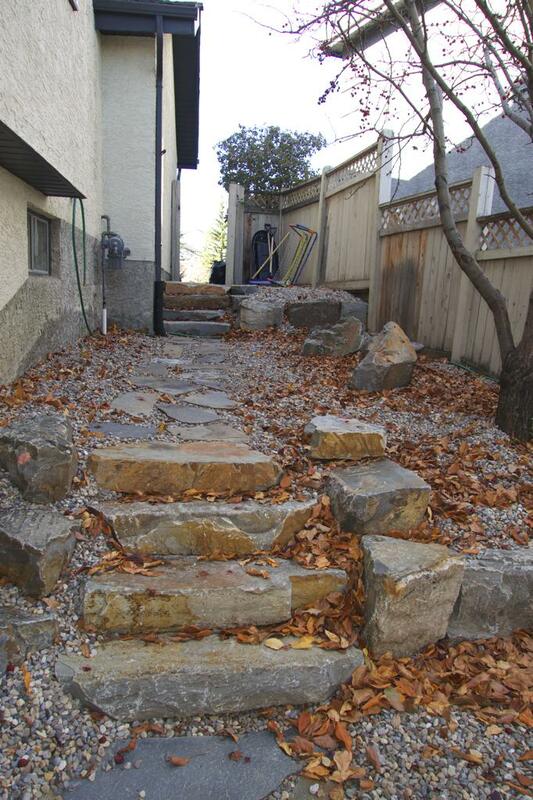 Whether you choose to use timber, stone, or cement, steps provide both beauty and function. 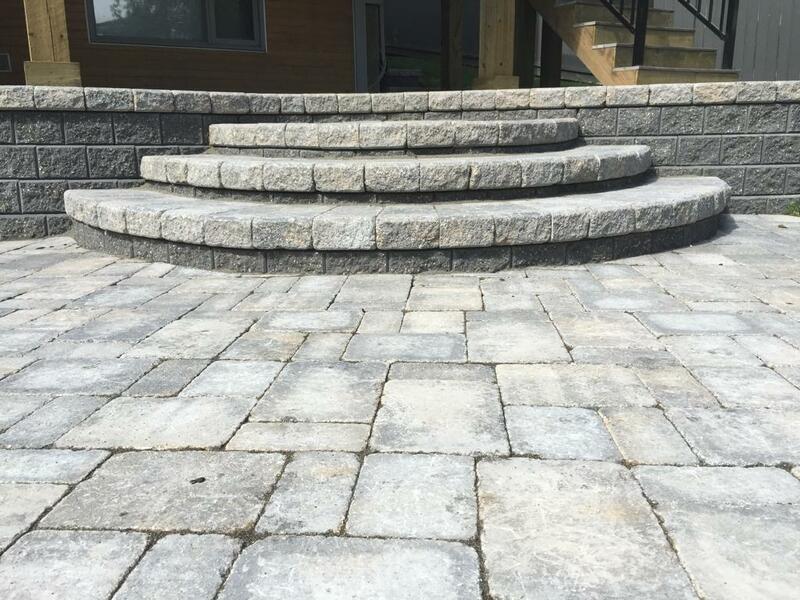 Sometimes the combination of multiple products can bring an entire landscape together, (walls and patios) and they create a focal point with synergy. 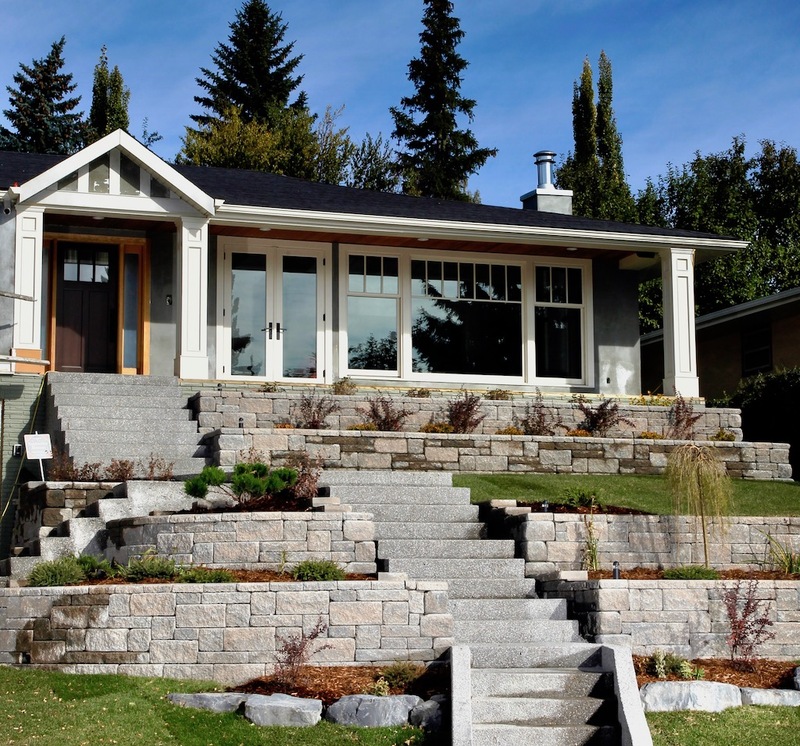 Assiniboine offers a full range of Landscape Construction Services. 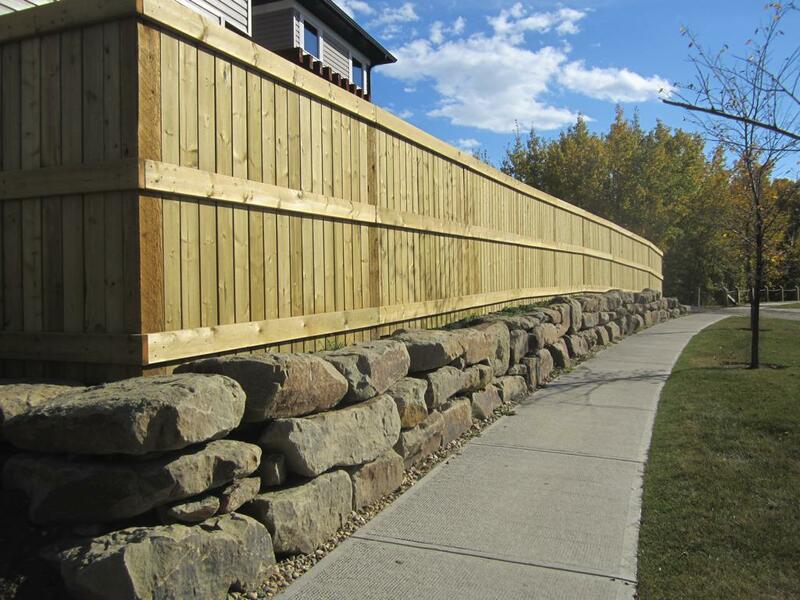 Assiniboine’s expert contractors are capable of building all types of retaining walls. 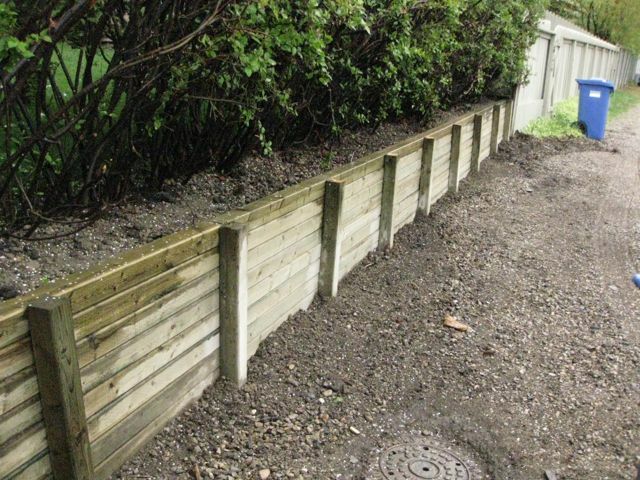 From small to large supporting walls, our crews can also replace old deteriorating walls with a new well built wall. 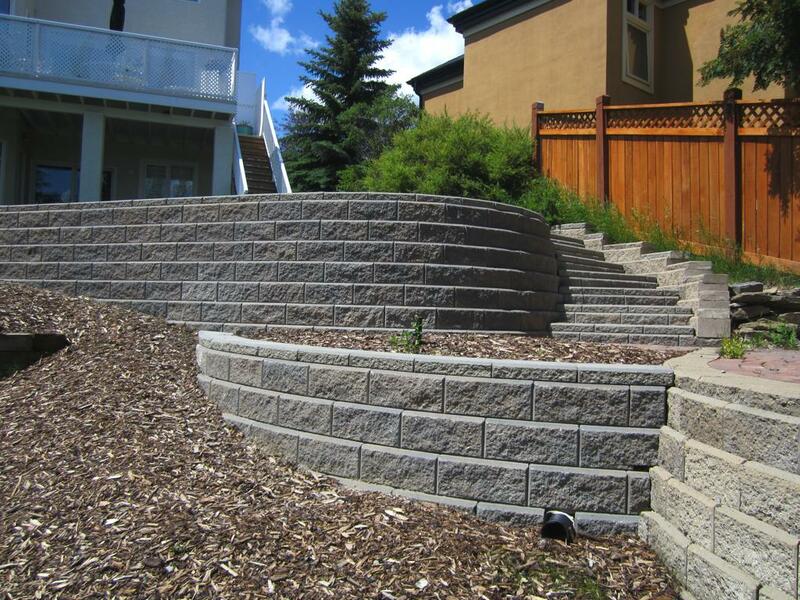 We construct retaining walls using different types of materials. 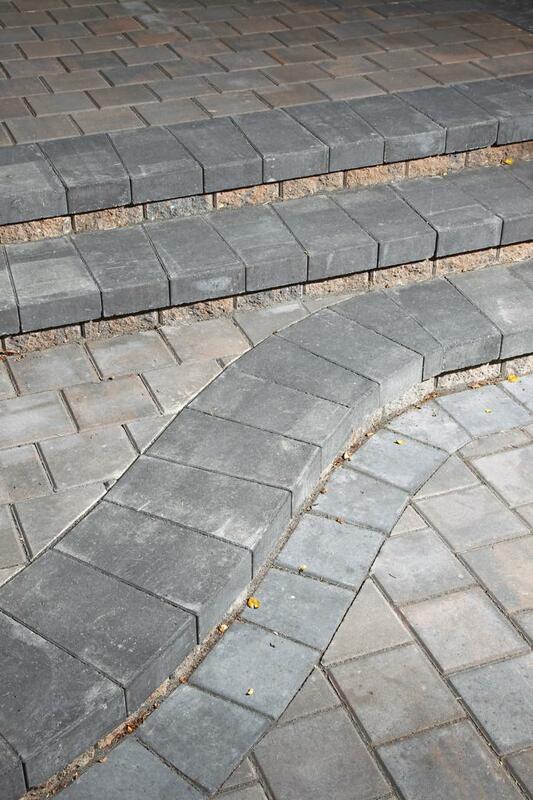 Such as Manufactured or Concrete Blocks, Natural Stone or Pressure Treated Wood. For more information on material choices and to check out some of our trusted supplies, head to the blog! 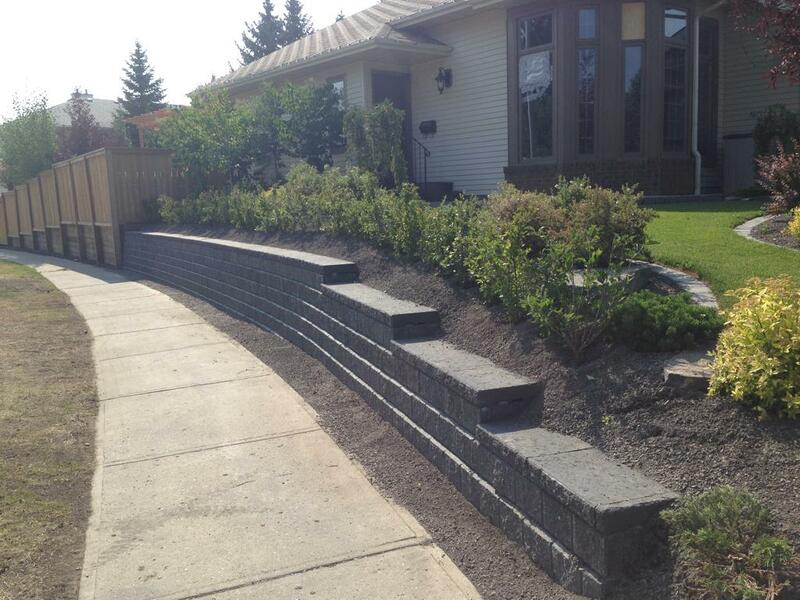 This Allan Block retainng wall creates a visually appealing and practical terraced front yard. 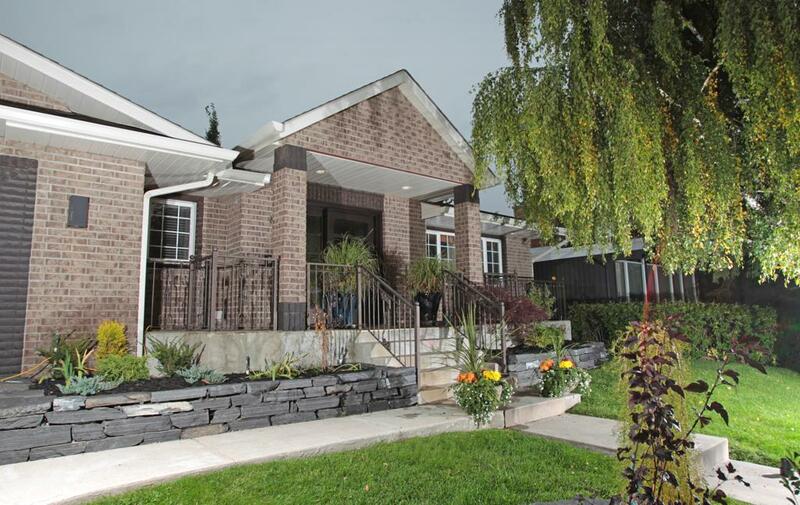 Have a look through our projects for ideas and inspirations for your yard. 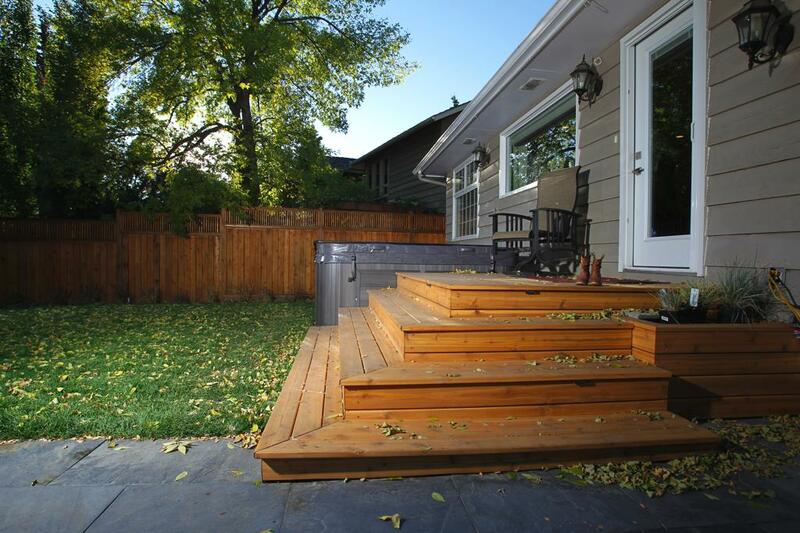 We have many different examples of completed projects, everything from small jobs to completely new spaces. Click on an image to open the full gallery view with descriptions. For your Complimentary Consultation and Free Estimate. 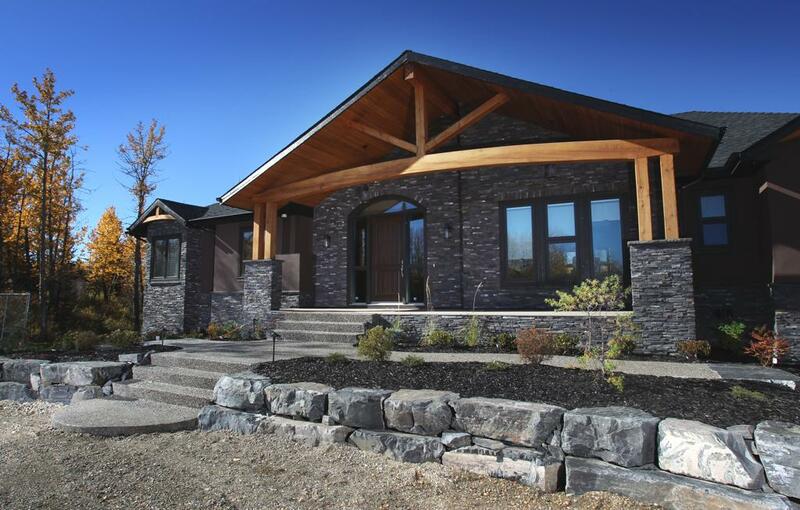 Get ready to experience outdoor living at its finest!